Whether you’re a Catholic, a non-Catholic or an Atheist, we can all learn some great leadership tips from Pope Francis. Speak plainly – Many of his predecessors were heavy on theological dogma and spoke in terms that often confused or bored their audiences. However, Pope Francis – though a theological scholar in his own right – understands the power of keeping it simple and speaking in plain language, which puts his audience more at ease and instills a sense of inclusion. Remember that a message can often be lost in flowery language, high-brow words, confusing graphs and overuse of industry acronyms. 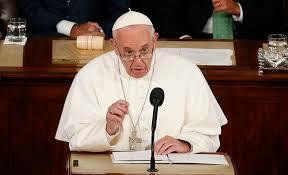 Lead by Example – Pope Francis doesn’t sit in an ivory tower and dictate orders. He demonstrates leadership by practicing what he preaches. He chooses to ride around in a Fiat, not a Mercedes and insisted on paying his hotel bill in person after the Conclave. He doesn’t make rules that apply only to others and doesn’t ask those to do what he wouldn’t. A successful business leader does the same. Be authentic – The Pope stays true to himself. He chooses not to live in the Papal Palace but instead chose a small suite in the Vatican guest house because he feels more comfortable there and can interact more with people. No one respects him any less for that. Being genuine, being authentic and acknowledging who you really are, ultimately helps us interact more comfortably and in turn, more effectively with others. Follow the Golden Rule – The Pope has talked about following the Golden Rule. Do you treat your colleagues, your customers, employees and vendors as you wish to be treated? Or do you lose your cool, pull rank, impose impossible deadlines and blame others? My words, not the Pope’s: “Don’t be a jerk.” You know who you are.